CRESWICK ADVERTISER - FRIDAY 18TH DECEMBER, 1970. 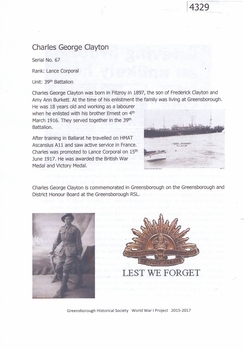 CRESWICK ADVERTISER FOR CRESWICK, CLUNES, BUNGAREE & TALBOT. 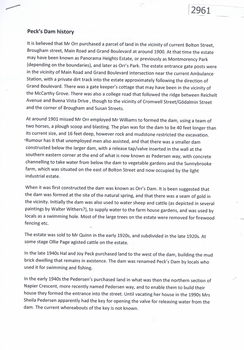 History of a parcel of land bounded by Bolton Street, Brougham Street, Main Road and Grand Boulevard purchased by Mr Orr around 1900. It may have been called Panorama Heights Estate, Montmorency Park and later, Orr's Park. Orr had a dam made, which was called Peck's dam by locals in the 1940s-1950s. Souvenir tea caddy spoon "Tea Time"
This souvenir item has been curated by Melbourne Water as it represents an important historical aspect of the organisation by demonstrating the popularity of its water asset sites as recreational places and tourist attractions, and although these sites are functional parts of the water supply system, they were also designed to be enjoyed by the public both aesthetically and recreationally. 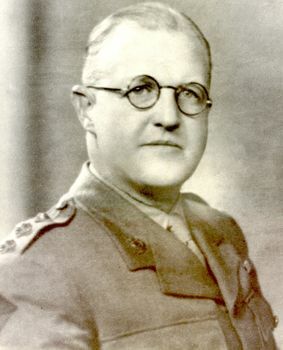 Black and white photograph of approx. 25 pupils and teachers. 3 girls right of photo have distinct gingham check dresses reminiscent of Shepparton High School gear of that era. 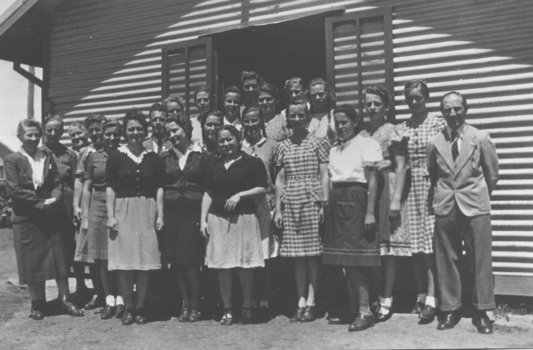 Some of the internees students might have attended Shepparton High. Sketch - "Elsie" at State School 1005. Photocopied watercolour sketch of one room rural school in timbered background, surrounded by barbed wire and netting fence in the barbs of which Elsie is caught. Tents in the background for Army personnel at Graytown POW Camp. 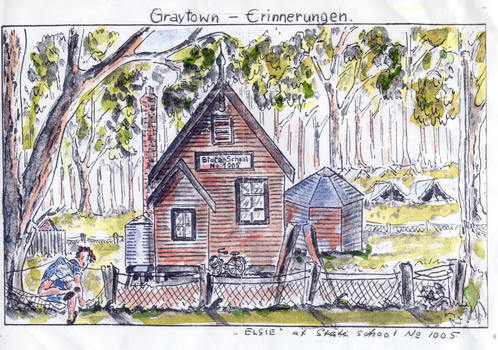 "Graytown- Erinnerungen", "Elsie" at State School No. 1005. Book - A little book of friendship. A brown/gold book titled "A little book of friendship". Suede cover. 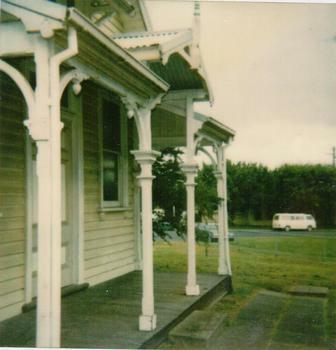 A coloured photograph of the detail of the decoration of the wooden verandah at the front of the former Sunbury Courthouse. It is a polaroid photograph. 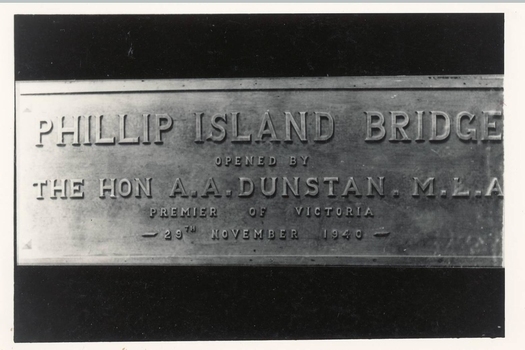 Photo of Plaque for opening of Phillip Island Bridge - 1st bridge built in 1940. The Silent City was written by Dorothy Wickham and Peter Butters. 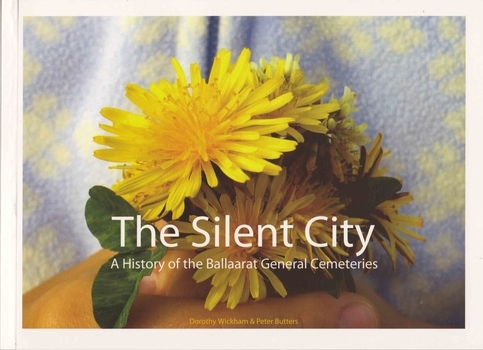 It is a book about the Old and New Ballaarat cemeteries and crematorium. A medium sized cream pottery mortar bowl with a lip on one side of the rim. The surface is unglazed on the outside but glazed inside. The pottery mortar bowl was used at the Sunbury Asylum before it closed down in the early 1990's. 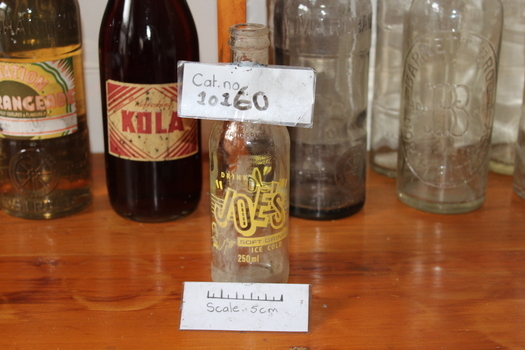 It was collected for GEM by a former curator. Junkers JU52. 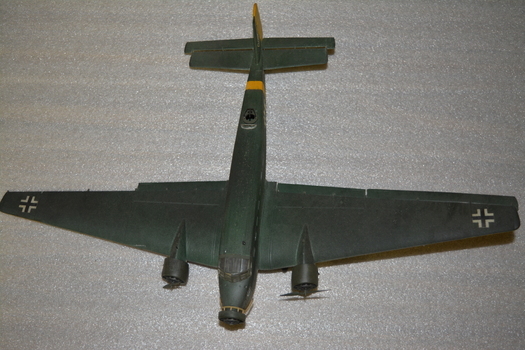 Medium sized dark green model with German markings. Has yellow tail fin. 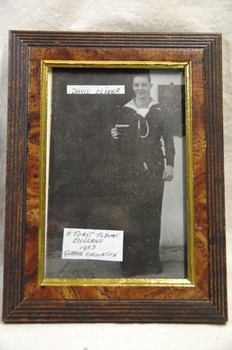 Photograph missing from folder at time of scanning 26 October 2017. The photo in this record is from a scan in September 2001. Booklet cream cover. Picture of Tatura school boy premiership team 1959 on front cover. A history of Tatura Primary School 1874-1995. A celebration of 25 years at the new school. 39 pages. 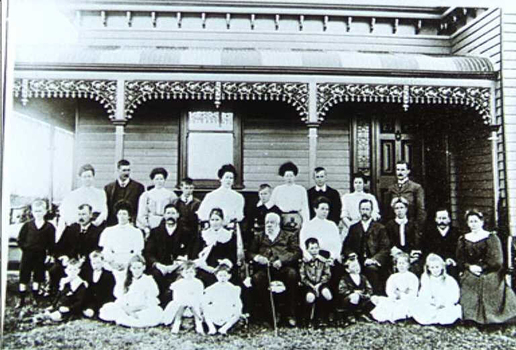 A History of the Tatura Primary School 1874 to 1995. Compiled by School Council 1995. 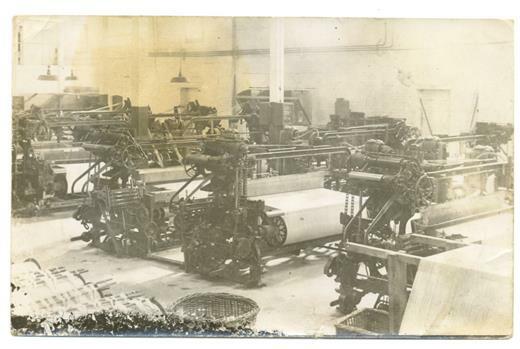 Dawes and Vary, Trevaskis Engineering and Bruce McTier and Associates contributed to cost of printing. 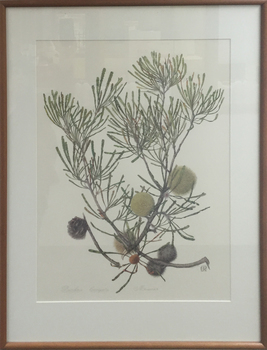 Framed photolithograph of a banksia. 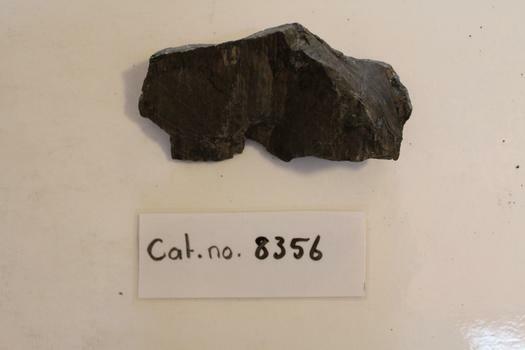 8356.1 - Medium-sized, wedge-shaped mudstone, two surfaces showing slip-surfaces features, with others- the thick end of the wedge-showing the layered nature of the mudstone. Bayside City Council Art and Heritage Collection. Donated to Bayside City Council through the Australian Government’s Cultural Gifts Program by Lion Capital Pty Ltd, 2013. © Robert Jacks/Copyright Agency, 2019. 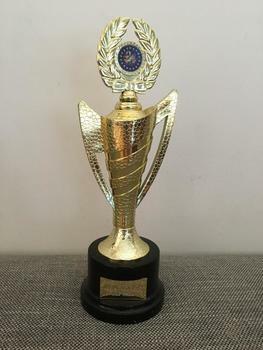 Trophy on stand in embossed gold colour. It has handles to each side of a spiral shape and at the top - a depiction of a laurel wreath and bow surrounding a blue coloured circular centre. 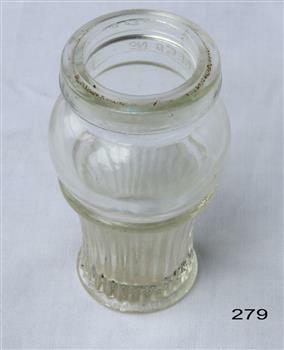 It is mounted on a brown bakelite base with an inscription plate set into it. This award provides an incentive for cyclists to perform at their best on club race days. 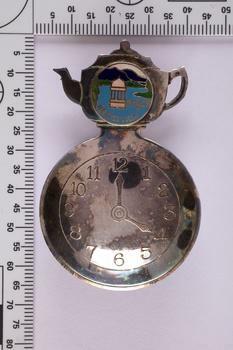 It is interesting to note that over time awards have changed with the fashion of the time. Cycling trophies have ranged from badges in the early 1900s, to sashes in the mid 1900s, then to shields and to individual trophies, and currently to medals. This award provides an incentive for cyclists to perform at their best on club race days. 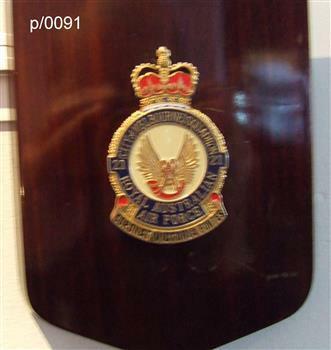 "Geelong Cycling Club/2012/Club Champion/2nd Place"
Plaque City of Melbourne Sqn. 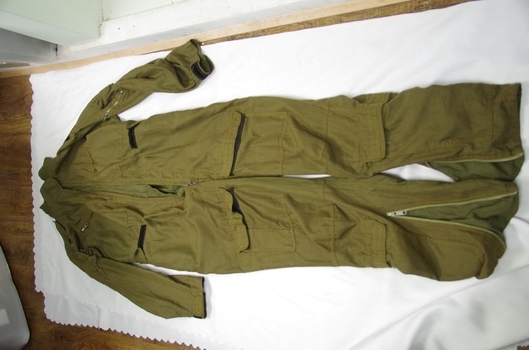 21 R.A.A.F.